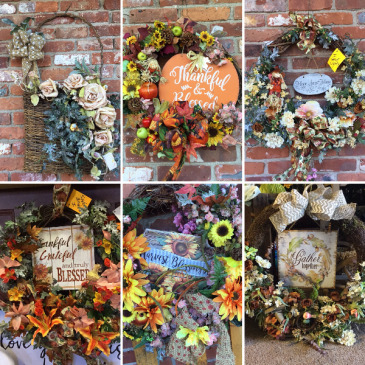 We carry a wide assortment of beautiful artificial door wreaths. A lovely gift that will keep giving for many years. Please call directly to place your order and we will help you choose the perfect one!